Job cuts are set to be made at a series of newspapers recently bought by Newsquest after staff were invited to apply for voluntary redundancy. Newsquest has launched a VR scheme for staff working the former NWN Media titles which were taken over by the regional publisher last September. Newsquest has declined to mention how many redundancies it is aiming to make through the programme, but says all areas of the editorial department will be considered. 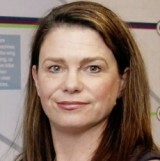 The plan was revealed in a memo to staff, which has been seen by HTFP, from Newsquest North Wales group editor Susan Perry, pictured. Susan, whose appointment to the role was announced last week, said: “The Company is to consider a reduction in editorial staffing numbers, in line with the recent changes to the print portfolio and pending rollout of new editorial systems, which will significantly improve workflow. “All areas of the editorial department will be considered however, please note that the Company reserves the right to refuse an application based on the future needs of the business. The opening of a voluntary redundancy scheme echoes a similar move made by Newsquest at the Isle of Wight County Press in November. The County Press had been bought by Newsquest in July. Since Newsquest’s takeover of NWN, the company has made redundancies in its advertisement creation department, based at Mold, with 20 roles understood to have been put at risk. Papers in the former NWN stable include Wrexham and Flintshire daily The Leader, as well as weekly titles the Chester Standard, South Wirral Standard, Oswestry & Border Counties Advertizer, Rhyl Journal, Powys County Times, Denbighshire Free Press, Whitchurch Herald, North Wales Pioneer and North Wales Chronicle. my advice to those being offered voluntary redundancy is to take it as this trend of job cuts appears to show no sign of ending. Will the last remaining person at Newsquest please turn off the light when they leave. Those that are left in a job, and there won’t be many, will have the privilege of working for Britain’s worst-paid daily with senior reporters on £15K a year. Newsquest should rectify such robber baron wages but they are more likely to try and use such an extraordinarily low cost base as a template for their other sweat shops. Jazzie, no point blaming fellow workers such as the advertising staff. They try their best like staff in newsrooms but the fact is only a small proportion of the population read local newspapers today and that is why advertisers are deserting and looking for new opportunities away from newspapers and their websites, which are a very poor alternative and proven not to work for local traders – otherwise after about 10 years of trying digital would have been monetised. The majority of web income comes from the loose change of major brands such as insurance companies and the like and it’s not enough, so despite what you read from the publishers the future is bleak and those young enough should seek careers away from an industry where pay and conditions generally struggle to keep pace with unskilled jobs. Circumstances change, that’s life. I am afraid West Yorks Analyst is sadly right. NQ titles sales, along with other companies, have fallen through the roof compared with peak sales, in some cases now selling about10 per cent ( yes 10 per cent) of what they sold at peak. Advertisers know this. We can argue all day about why this has happened but it has and newspapers struggle to sustain themselves when some daily (morning) titles are selling 10,000 a day. Something has to give, and newspapers just keep giving. At least they waited until after christmas for this round. On the plus side, everyone I know who has left local newspapers couldn’t be happier. Yes Dave S. I have a few friends in the trade who were sad to leave and two weeks after getting out wondered why the hell they stuck it so long (some of course had little choice but to slog it out). When I see them they seem very content. Nobody below the age of about 90 buys ‘papers anymore. Can we therefore admit defeat and please move on? Thank you. ‘New editorial systems’ and ‘improved workflow’ means the introduction of Write To Shape (initially called Write To Fit until someone spotted the WTF acronym) and that means the end of sub-editors at NWM.